The vision of The Department of Humanities and Social Science is to deliver the learning outcomes specified by the study program and achieve excellence in the fields of higher education by virtue of extensive knowledge on associated subject matter, comprehensive curriculum and consistent enhancement of teaching. The Department of Humanities and Social Science comprises of Business & Communicative English, Economics and Sociology, creating a distinct blend of communicative and applied tools crucial for Textile Engineers in their field of study and future career. This particular department has been formulated to provide students with necessary exposure to global economy, societal trends dictating business & industries and the effective usage of communication in business. The aim of this department is to prepare students to be able to compete under fierce business environment and global challenges. Adjoined with their core module of study, this department has highly qualified and experienced faculties who are dedicated towards ensuring necessary impetus and value addition to generate a holistic learning experience for future Engineers. Our mission is to prepare knowledgeable, competent graduates who will possess the ability to contribute to the society and integrate their knowledge with various sectors to fetch progressive transformation to the country at large. The objective of the Department is to aid students with the knowledge and skills required to master the major skill sets of corresponding subjects. Graduates undertaking the courses of the Department would approach a diverse range of discourse including academic as well as professional texts by applying themselves with an analytical, critical and logical frame of mind. Ms. Dilara Hossain, Assistant Professor & Head, Department of Humanities & Social Science under the Faculty of Textile Management & Business Studies is specialized in communicative and applied English language and literature. 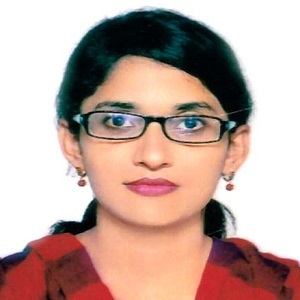 Her expertise lies in developing business language and communication modules, communicative writing techniques, phonetics & phonology, reporting criterion, project documentation etc. She has been teaching diverse modules to undergraduate students with the aim of enhancing their skill of effective communication. 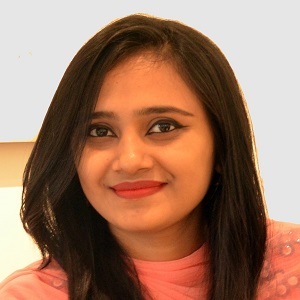 She received training on Business Communication Skills from The Bangladesh Institute of Management (BIM), Ministry of Industries of The People’s Republic of Bangladesh in January 2016. Apart from being a member of the academic council, Ms. Dilara Hossain is an advisor to The Bangladesh Textile University Debating Club (BUTEX DC). Ms. Hossain completed her graduation and post-graduation from Department of English, Jahangirnagar University. She is currently pursuing M.Phil degree at the same institution. 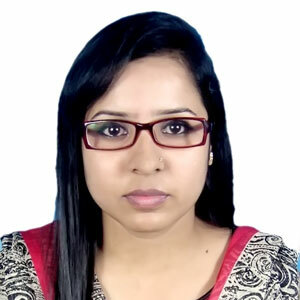 Ms. Hossain joined Siddheshwari Degree College as lecturer in 2010 and subsequently joined Bangladesh University of Textiles in 2011 as Lecturer. Customized Reality and Fatal Optimism: A Postmodern approach to Arthur Miller’s Death of a salesman. Published on Chaos: IUB Studies in Language, Literature and Creative Writing - A Journal of the Department of English, Independent University, Bangladesh. Volume 2, Number 1. Summer 2014. Art and Williams' Poetry: Paintings, Painters and Perceptions that Precipitated William Carlos Williams' Poetry. Wizcraft Journal of Language and Literature: Vol. II: Issue: IV ISSN: 2319-4952. December, 2013. Voyeuristic Active Male Gaze vs. Passive Mechanism of Female: A Stereotypical Representation of Women in the Context of Television Commercial. Ideas & Ideologies (i&i) e Journal. Volume-1: Issue- 4. ISSN: 2320-7744. March 2013. Mr. Shahid Md. 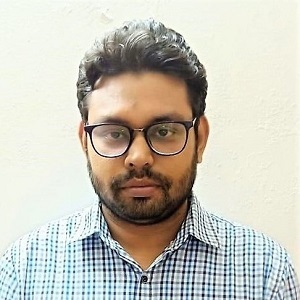 Adnan has been teaching as a Lecturer of English under the Department of Humanities and Social Science at Bangladesh University of Textiles. He is engaged in developing English communication process as well as the functions of English language both for academic and professional purposes. His teaching areas comprise English language teaching and skill development, business and professional writings with documentation, reading for pleasure & vocabulary, etymology reading, grammatical error analysis, phonetics & phonology, public speaking and mock job-interview, solo and group presentation, translation activity, visual text analysis etc. Before joining at BUTEX, Mr. Adnan has taught English Literature and Language related courses as well as Business & Communicative English at different private universities. He also worked as a Research Communication Officer (Research Editor) under a research project of Oxfam Novib (the Dutch affiliate of the international Oxfam organization). Mr. Shahid Md. 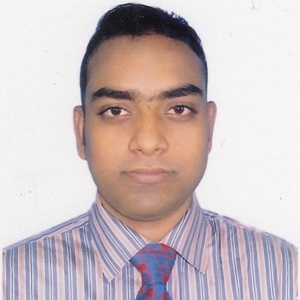 Adnan is currently pursuing his M.Phil degree at Department of English, Jahangirnagar University, Dhaka. Prior to that, he accomplished both his graduation and post-graduation in English from the same institution. Mr. Adnan has also achieved Merit Scholarship from Jahangirnagar University for his academic excellence. He is a member of Bangladesh English Language Teachers Association (BELTA), Institute of Modern Languages, University of Dhaka, Bangladesh. ‘Regressive or Progressive Apparatus: A Representation of Women in Billboard and Print Advertisements’ ASA University Review’’ (ISSN 1997-6925), Volume 09,No.1 (16th Issue),January-June 2015 under the banner of "Centre for Socio-Economic Research.